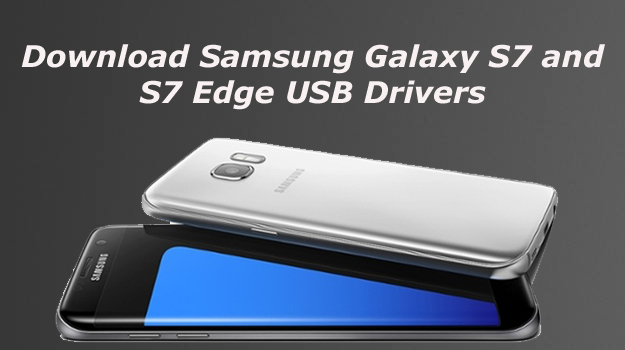 Here we share the direct link to Download Samsung Galaxy S7 and S7 Edge USB Drivers. If you are a Samsung Galaxy s7 owner, you need to download Samsung Galaxy s7 and S7 Edge USB drivers before connecting it to Windows PC. With proper drivers, you will transfer files between your device and PC. With below steps you can Download & Install Samsung Galaxy S7 and S7 Edge USB Drivers. After installing the USB drivers, not only you transfer the files between your device and computer but also it will help you to detect your device by Odin. If you want to root your phone or want to TWRP recovery, then you need to Download Samsung Galaxy S7 and S7 Edge USB Drivers first. The driver only used on Windows based PC. This post teaches you how to download and install Galaxy S7 and S7 Edge driver. There are many ways to install the USB driver for Samsung Galaxy S7 and S7 Edge. One of the best and the proper way to install the driver by installing Samsung KIES, but installing Samsung Kies will take so much time. Since the Samsung KIES will take so long to download and install the driver, we will provide you the driver which is very simple will install within five mins. These are the steps to download Galaxy S7 and S7 Edge USB driver. 1) First Download Samsung Galaxy S7 and S7 Edge USB Drivers on your PC. 2) Now uninstall any other Samsung driver installed on your PC and then restart your PC. 3) Connect you Galaxy S7 to PC via USB cable, locate the driver file and double-click on it to start the installation process. 4) Now follow the On-screen instructions and complete the installation process. 5) Restart your computer after the installation process complete. 6) Now all drivers should be successfully installed. Connect your devices to PC and start transferring files between your PC and phone. This is the complete guide of how to Download Samsung Galaxy S7 and S7 Edge USB Drivers and install it on your PC. If you have any question related to this post comment below.